Launched in 2011, Hortus Loci is a new breed of plant nursery. We have linked-up the finest growers in the UK, Europe and beyond to locate the best plants available. On our 17-acre site, near Hook in Hampshire, you will find a comprehensive selection of the highest-quality specimens in a range of sizes that will enchant garden design concepts on any scale. We now raise over 85-percent of all the plants we supply, so we can guarantee availability and quality. Our nursery is conveniently located near Hook in Hampshire, between the M3 and M4, within easy access of London and from abroad (via Heathrow). Our aim is to supply the best plants possible. To achieve this, we source most of our plants as liners, plugs or Jumbo Plugs from leading specialist growers in the UK, then tailor our husbandry techniques to meet the needs of all the plants we grow. While most UK suppliers offer perennials in 2-litre pots, we grow them on into 3-litre containers or even taller long-toms for deeper-rooting species – minimising stress throughout the growing season. In addition, most UK plant suppliers choose two (or maybe three) different composts, whereas we’ve developed six separate formulations to meet our plants’ individual needs. Come and see for yourself and be inspired. You’ll find that Hortus Loci offers a unique opportunity for professional gardeners, landscapers, designers and their clients to browse an unrivalled range of trees, perennials, shrubs and other plants. 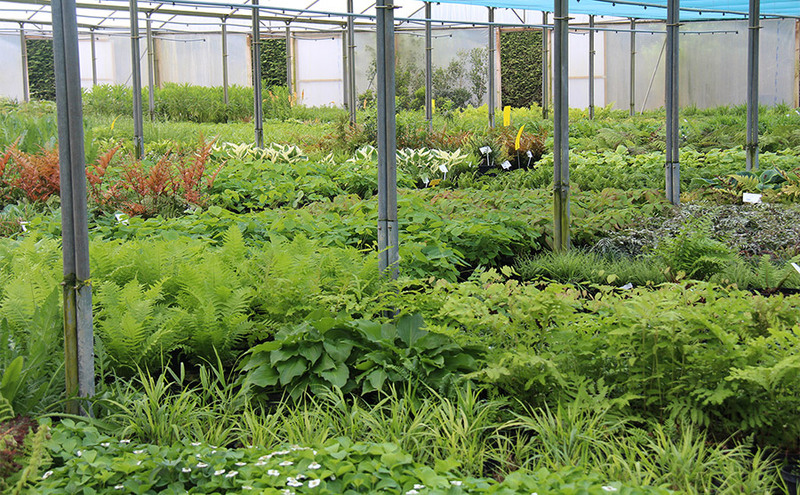 It is the only wholesale nursery in the UK that offers such a comprehensive collection of plants of distinction at a single site. In addition, there’s a carefully selected, design-inspired range of related products, such as pots, stone, lighting, and fencing to add the finishing touch to a scheme. Call or email us to arrange your appointment.